Even in the digital age, manufacturing remains at the core of the value creation for chemical companies. 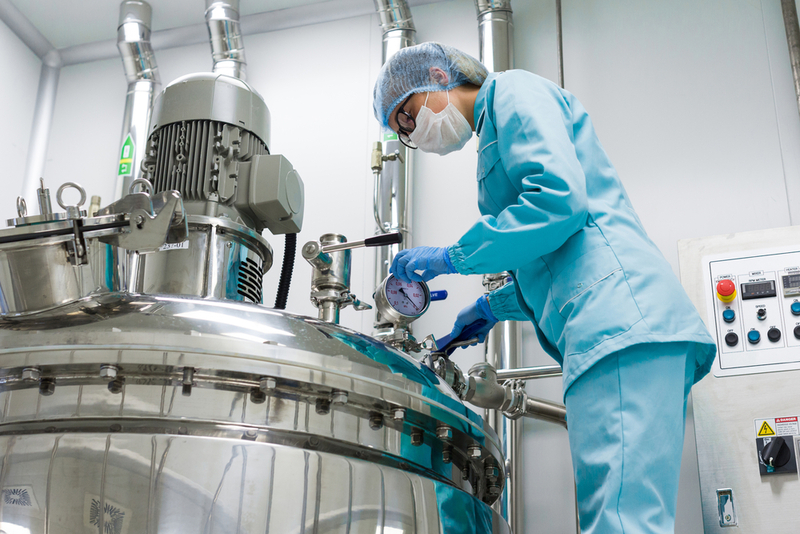 With the rise of competition, demand volatility, and cost pressure in the last decade, excellence in manufacturing is a must for every chemical company. Lousy performance – such as OEE below 80% in batch processes or 95% in continuous processes, rejects beyond 0,5%, or rework beyond 2% – can easily drive profitability down and customers away, jeopardizing the overall competitive position in the long-term. Engaging with us on a „Manufacturing excellence“ project helps spotting where a company has to raise the bar in manufacturing, where opportunities for improvement lie, and how a detailed path towards excellence in manufacturing looks like, that is effective and sustainable. Manufacturing diagnostics, g. a comparison with peers from the chemical industry of key performance indicators (such as OEE, losses, yield, rework, rejects, energy consumption, manufacturing unit costs, etc.) as well as functional practices in manufacturing, with the identification of strengths and weak points. Map of opportunities, i.e. the list of potential improvements (e.g. different workflows, better tools, new organization, machinery upgrade & investments, etc) that would bridge the gap, incl. a description of each case (estimate of benefits / costs / implementation time / resources). Prioritization alternatives & planning e. the ranking of opportunities based on different criteria such as return on investment, costs, ability to implement, sustainability, risk, as well as a potential sequencing of implementation of the different realization projects, the operationalization of the activities necessary to achieve the project goals incl. breakdown in feasible workstreams and actions with responsibilities and dates. Progress tracking and reporting, e. the translation of goals into objectives both of financial and non-financial nature, the attribution to different teams, and the installation of weekly / monthly progress and deviation reporting. Ad-hoc expertise on selected projects– where necessary, i.e. the subject-matter input on strategic questions such as investments & upgrades, workflow adaptions, network realignment, organization design, and alike. One project management office (PMO) support – in some cases the role is carried out by the senior project manager. Chemicals Go Digital! What will digitalization change in chemical manufacturing?